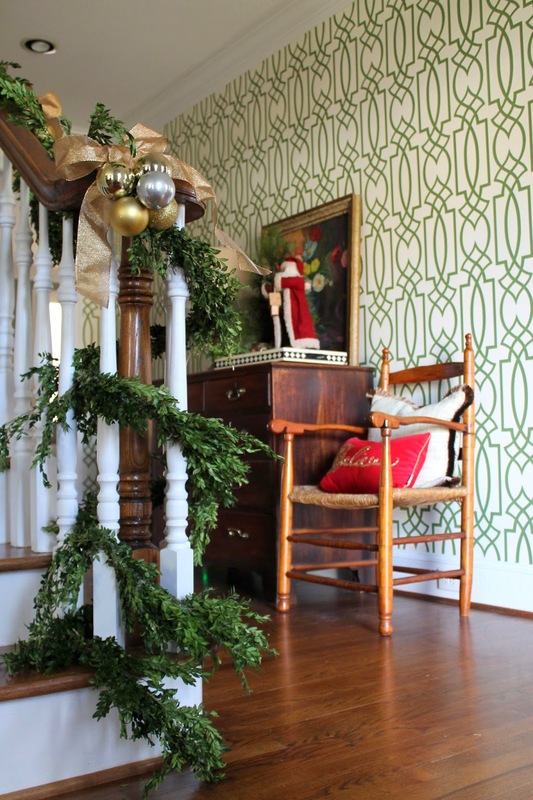 I'm back today with more snippets of Christmas in our home. 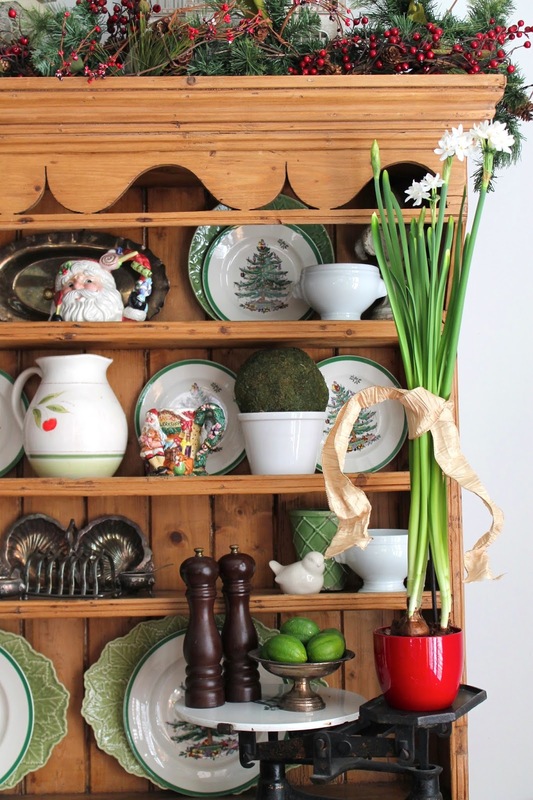 No overly done, grand gestures this year - just bits and pieces to help us bring in the Christmas spirit. 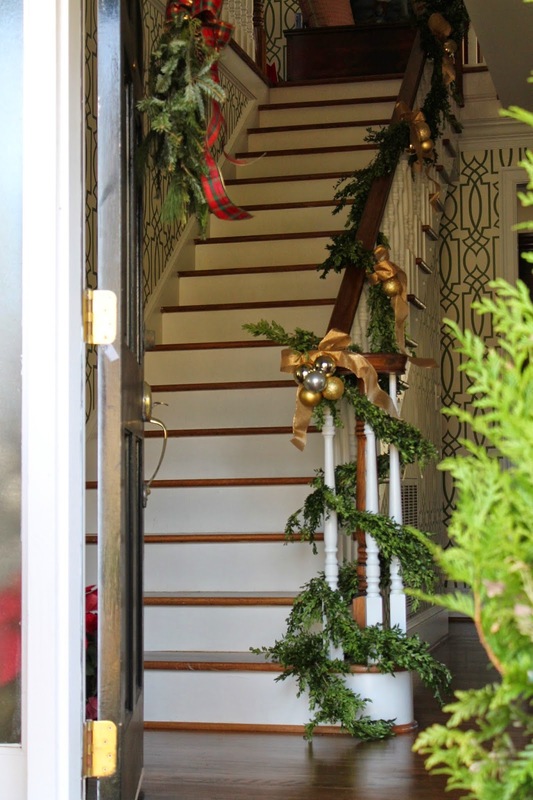 This year we opted for fresh boxwood garland on the staircase, adorned with metallic ornaments and golden bows. 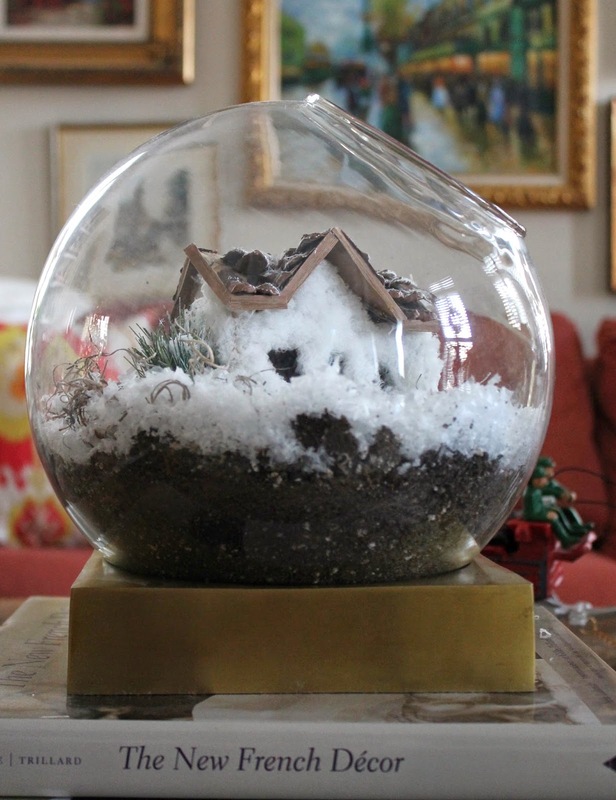 My take on DIY Christmas decor: one dead terrarium + faux snow + a snowy cottage ornament = kid favorite! My first attempt at paperwhites - beautiful and fragrant. Definitely on the repeat list. 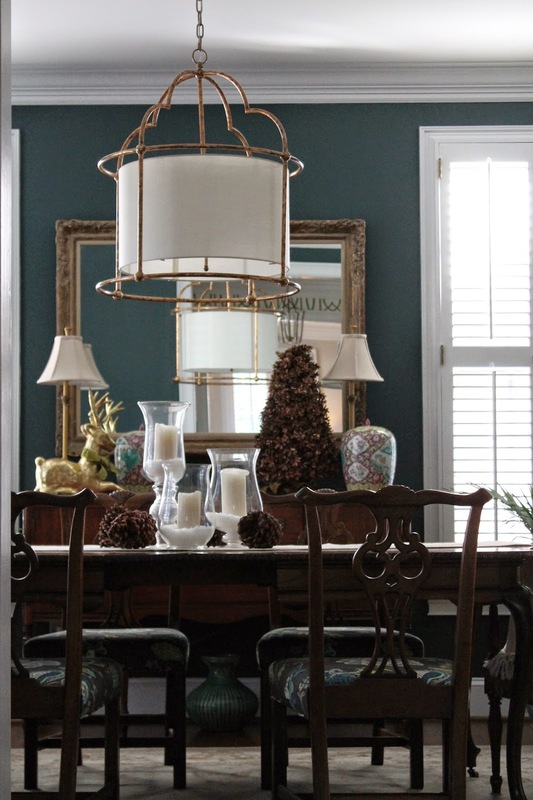 As the holiday approaches I'll begin work on the tablescape in the dining room, for now: simple candles, faux snow and pinecones.